The RGV Vipers are champions again. Behind another huge night from Isaiah Hartenstein, who scored 30 points and pulled down 17 rebounds, the Vipers jumped out front early and led wire-to-wire en route to a 129-112 victory over the Long Island Nets in the third and deciding game of the NBA G League finals. It is the league-best third title for the Vipers, who lost the first game to Long Island before winning Game 2 at home and running away with the deciding game Friday night on the road. The Vipers were hot right from the start, leading 38-24 after the first quarter and 75-47 at the half. They were up by as many as 32 in the game and until Long Island made a mini-run at the end of the fourth quarter, dominated throughout. 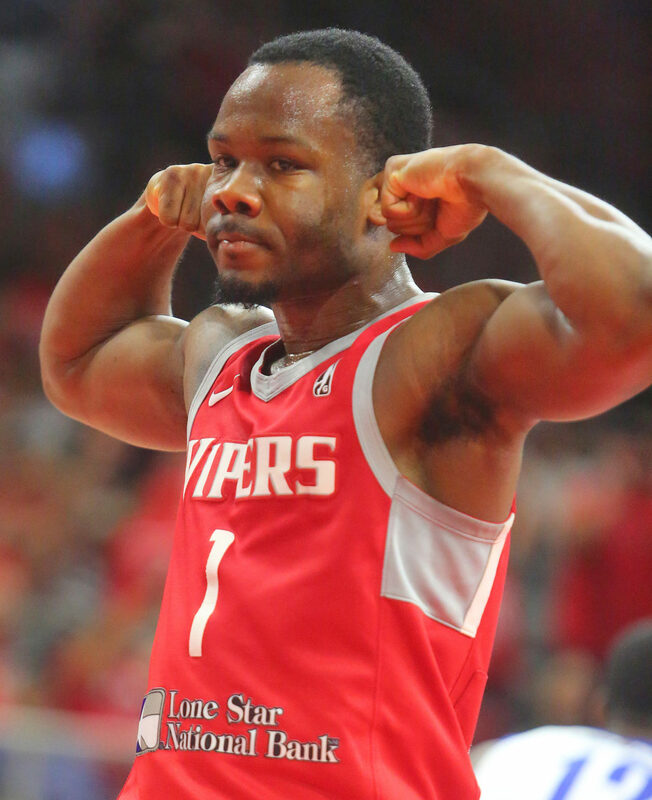 Michael Frazier, the league’s Most Improved Player, and Dakarai Tucker each scored 24 points and six different Vipers hit at least one 3-pointer. The Vipers converted 12 of their 3-pointers in the first half and ended up shooting 42% from behind the arc, led by Frazier’s 6-for-11 performance from deep. After a difficult first game in Long Island, the Vipers made some adjustments offensively. Vipers first-year coach Joseph Blair called the Nets’ Game 1 defense “passive aggressive” and guard Gary Payton II said it was a defense that the Vipers had not seen all year. Payton scored 17 points before fouling out and Jordan Johnson came off the bench with another solid performance, scoring 14 points, dishing out six assists and turning the ball over just two times in 29 minutes of play. “No matter what happens, we are just happy to be here and we are enjoying the moment,” Blair said before the team left for New York and after the Game 2 victory. “To be in the finals and competing for a championship is just a blessing and something that we all will remember and should cherish. The Vipers will return over the weekend and there has been talk of possibly some type of celebration, but nothing has been confirmed. While the Nets had a solid outing at the free-throw line, converting 21 of 24, their 3-point shooting was abysmal, converting just 7 of 42 for 17%. Alan Williams again led the team with 26 points and 21 rebounds.